WHY DOES MODERN MAN TAKE THIS LEAP INTO THE AREA OF NONREASON TO ATTEMPT TO FIND MEANING IN HIS LIFE? The answer is very simple and it is found in the makeup of man that is found in Romans 1:18-22 and in the writings of Carl Gustav Jung. The Beatles‘ Sgt. Pepper’s Lonely Hearts Club Band album cover. Schaeffer argues that modern man, having crossed the line of despair, takes a leap of faith to affirm that life has meaning and purpose because human beings cannot live without such meaning (1:61). This “leap” results in a two-storied view of the world. The “downstairs” is the world of rationality, logic, and order; it is the realm of fact, in which statements have content. The “upstairs” is the world of meaning, value, and hope; it is the realm of faith, in which statements express a blind, contentless optimism about life (1:57-58, 63-64). “The downstairs has no relationship to meaning: the upstairs has no relationship to reason” (1:58). Carl Jung established the idea of analytic psychology. He advanced the idea of introvert and extrovert personalities and the power of the unconscious. Carl Jung was born on July 26, 1875, in Kesswil, Switzerland. Jung believed in the “complex” or emotionally charged associations. He collaborated with Sigmund Freud, but disagreed with him about the sexual basis of neuroses. He founded analytic psychology, advancing the idea of introvert and extrovert personalities and the power of the unconscious. He wrote several books before his death in 1961. Front row: Sigmund Freud, Granville Stanley Hall, Jung; back row: Abraham A. Brill, Ernest Jones, Sandor Ferenczi. Charles Darwin was confronted by these two things too (Charles Darwin: his life told in an autobiographical chapter, and in a selected series of his published letters). 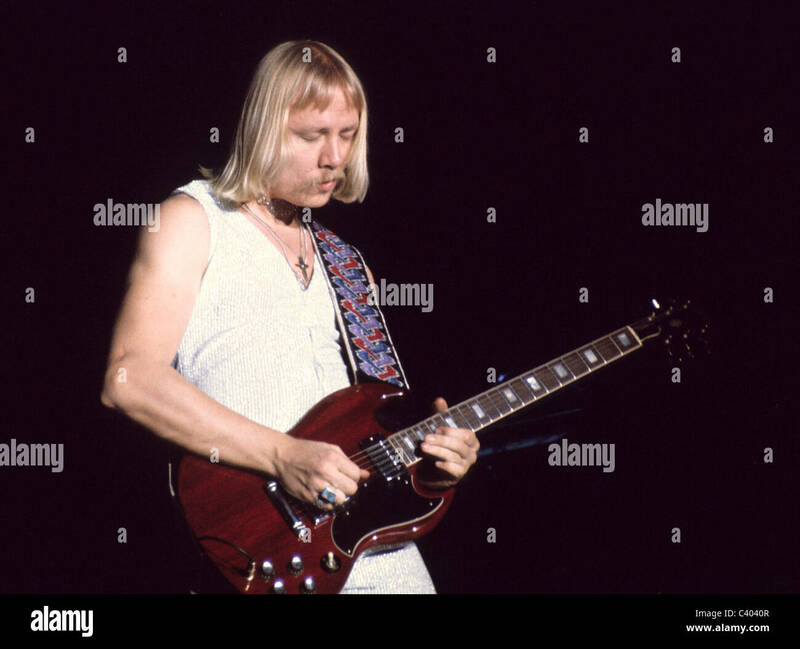 Kerry Livgren himself said that he wrote the song because he saw where man was without a personal God in the picture. Solomon pointed out in the Book of Ecclesiastes that those who believe that God doesn’t exist must accept three things and it is Francis Schaeffer that pointed this out. FIRST, death is the end and SECOND, chance and time are the only guiding forces in this life. FINALLY, power reigns in this life and the scales are never balanced. The Christian can face death and also confront the world knowing that it is not determined by chance and time alone and finally there is a judge who will balance the scales. In the article below Elvis Costello picks out 5 songs today from the Beatles and he discusses them. You will notice you have the song BABY YOU’RE A RICH MAN and it talks about being beautiful and having a lot of money. Then the three love songs, OH! DARLING, JULIA, AND I LOVE HER, and then Elvis discusses the ballad NOWHERE MAN. This also reminds me of the search that the Beatles were on concerning finding meaning and satisfaction in their lives and they were getting nowhere and it reminded me of Solomon’s search in the Book of Ecclesiastes in what I call the 6 big L words. He looked into learning (1:16-18), laughter, ladies, luxuries, and liquor (2:1-3, 8, 10, 11), and labor (2:4-6, 18-20). During his search for the meaning of life I am sure there were times that Solomon felt like singing the Beatles’ song NOWHERE MAN. AT THIS POINT THE BEATLES HAVE TRIED EASTERN RELIGIONS, PSYCHEDELIC MUSIC, DRUGS, WOMEN and many other things to bring meaning to their lives and all have failed. Placing these individuals on the cover of the album is just another attempt to leap into the area of nonreason to find a meaning to life. Ironically, only one person on the cover has the answer to the meaning of life and I will share that person’s name at the conclusion of this series and by the way that person came to the same conclusion that Solomon did in the find chapter of Ecclesiastes!!! ‘Julia’ performed by The Beatles from the album ‘The Beatles’ (Lennon/McCartney)1968. 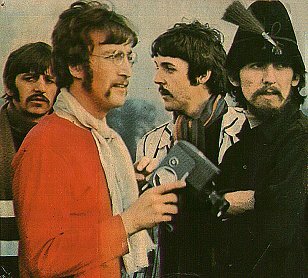 “Julia” was written by John credited and features him on vocals and acoustic guitar.It was written during the Beatles’ 1968 visit to Rishikesh in northern India,where they were studying under the Maharishi Mahesh Yogi.It was here where John learned the song’s finger-picking guitar style (known as ‘Travis-picking’) from the musician Donovan.This is the only time that John played and sang unaccompanied on a Beatle track. The title came from McCartney, but the spirit was pure Lennon. The working-class hero loved nothing better than tweaking the moneyed class: “The point was, stop moaning — you’re a rich man, and we’re all rich men, heh heh, baby!” he said. When Lennon sang, “How does it feel to be one of the beautiful people?” he was talking to himself. The Beatles built the track around a thumping mix of piano, bass and hand claps; the braying sound is Lennon playing a clavioline keyboard, which imitated the swirl of a Middle Eastern woodwind. Mick Jagger was a guest at the session and may have contributed backing vocals (one of the tape boxes mysteriously reads “+ Mick Jagger?”). “Oh! Darling” is a song of The Beatles composed by Paul McCartney (credited to Lennon/McCartney) and appearing as the fourth song on the Abbey Road album in 1969. Its working title was “Oh! Darling (I’ll Never Do You No Harm)”. McCartney later said of recording the track, “When we were recording ‘Oh! Darling’ I came into the studios early every day for a week to sing it by myself because at first my voice was too clear. I wanted it to sound as though I’d been performing it on stage all week.” He would only try the song once each day; if it was not right he would wait until the next day. In order to make sure he got every precious first take right, McCartney would practice the song in the bathtub. 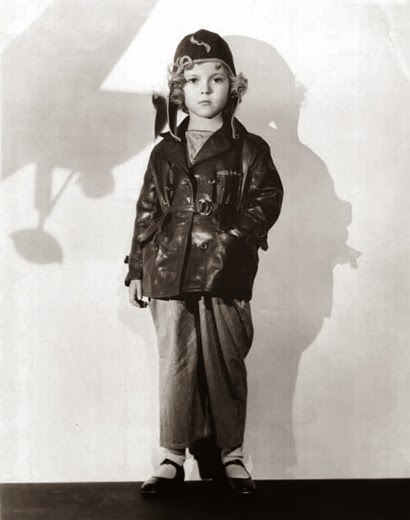 He once lamented that “five years ago I could have done this in one take. After an early attempt at this song on 27 January 1969 during the Let It Be sessions, Lennon announced, “Just heard that Yoko’s divorce has just gone through”, after which he and the band burst into an improvised version of the song, substituting “I’m free at last” for a part of the lyric. The song and the following improvisation are included on the Anthology 3 CD. Harrison described this doo-wop-style rocker to Rolling Stone as “a typical 1955 song. . . . We do a few ooh-oohs in the background, very quietly, but mainly it’s Paul shouting.” That belting, which took McCartney back to the Little Richard throat-shredding of his early days, did not come easily. “I ended up trying each morning as I came into the recording session,” he said. 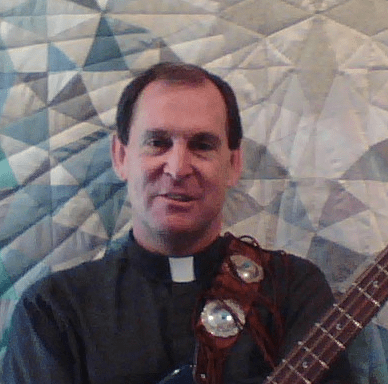 “I tried it with a hand mic, and I tried it with a standing mic, I tried it every which way and finally got the vocal I was reasonably happy with. If it comes off a little bit lukewarm then you’ve missed the whole point.” Engineer Geoff Emerick recalled that McCartney sang while the backing track played over speakers, instead of headphones, because he wanted to feel as though he were singing to a live audience. In the studio, the weariness in Lennon’s voice and the dirgelike melody didn’t deter the band from reaching for new sounds. Lennon, McCartney and Harrison stacked a wall of sumptuous harmonies, and the beautifully spare solo — played in unison by Lennon and Harrison on their Sonic Blue Fender Stratocasters — cut through the ennui like a machete. click on image for an enlargement, price, size and medium. Richard Marshall Merkin (1938 – September 5, 2009) was an American painter, illustrator and arts educator. Merkin’s fascination with the 1920s and 1930s defined his art and shaped his identity as a professional dandy. Merkin traveled back in time as an artist, to the time of the interwar years, creating narrative scenes in bright colors of jazz musicians, film stars, writers, and sports heroes. Merkin was as well known for his painting and illustration work as he was for his eccentric collecting habits and his outré fashion sense. Merkin was born in Brooklyn, New York, in 1938, and held an undergraduate degree in fine art from Syracuse University in 1960, a Master’s Degree in art from Michigan State University in 1961, and a Master’s Degree in Painting (MFA) from the Rhode Island School of Design in 1963. In 1962–63 he received a Louis Comfort Tiffany Foundation Fellowship in Painting and, in 1975, The Richard and Hinda Rosenthal Foundation Award from The National Institute of Arts and Letters. Merkin began teaching at the Rhode Island School of Design (RISD) in 1963 and remained there for 42 years, during which time he built his reputation in New York. He commuted every week to RISD to teach painting and drawing, after he moved back to New York in 1967. At RISD, Merkin was loved and revered. One RISD alum described him as “fearless beyond measure.”  Some notable students Merkin taught at RISD include, Chris Frantz and Tina Weymouth of the band Talking Heads and Martin Mull. Richard Merkin embodied RISD. He was regularly seen on campus wearing his trademark scarf and ballet slippers. In 1974, when the film “The Great Gatsby” was being filmed in Newport, RI Merkin appeared as an extra in one of the lawn party scenes. Merkin also designed several album covers for the Jazz record label Chiaroscuro Records for artists such as Mary Lou Williams, Ruby Braff, and Ellis Larkins. Merkin’s career at The New Yorker spanned twenty years, three covers, and nearly three hundred illustrations. Merkin died on September 5, 2009 at his home in Croton-on-Hudson, New York, after a long illness. He was 70 years old. 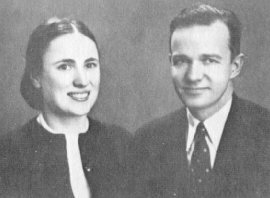 He was survived by his wife Heather Merkin. Merkin is represented in the permanent collections of The Museum of Modern Art, The Smithsonian Institution, Brooklyn Museum and the Whitney Museum, among others. He appears on the cover of The Beatles’ Sgt. 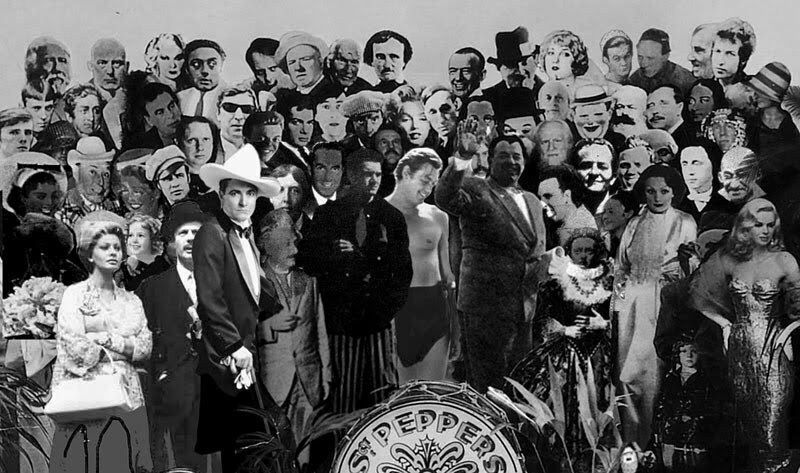 Pepper’s Lonely Hearts Club Band album, (back row, right of center, in between Fred Astaire and a Vargas Girl). NEW YORK – Richard Merkin, a painter and illustrator whose fascination with the 1920s and 1930s defined his art and shaped his identity as a professional dandy, died Sept. 5 at his home in Croton-on-Hudson, N.Y. A longtime teacher at the Rhode Island School of Design, he was 70. His wife, Heather, said he died after a long illness. As an artist, Mr. Merkin traveled back in time to the interwar years, creating brightly colored, cartoonish portraits and narrative scenes of film stars, jazz musicians, sports heroes, and writers. His illustrations appeared in The New Yorker, Vanity Fair, and Harper’s, but he was at least as well known for his outré fashion sense and eccentric collecting habits. After graduating from Syracuse University with a bachelor’s degree in fine art in 1960, he received master’s degrees in art from Michigan State University in 1961 and the Rhode Island School of Design in 1963. For the next 42 years he taught painting and drawing at RISD, commuting every week from New York. 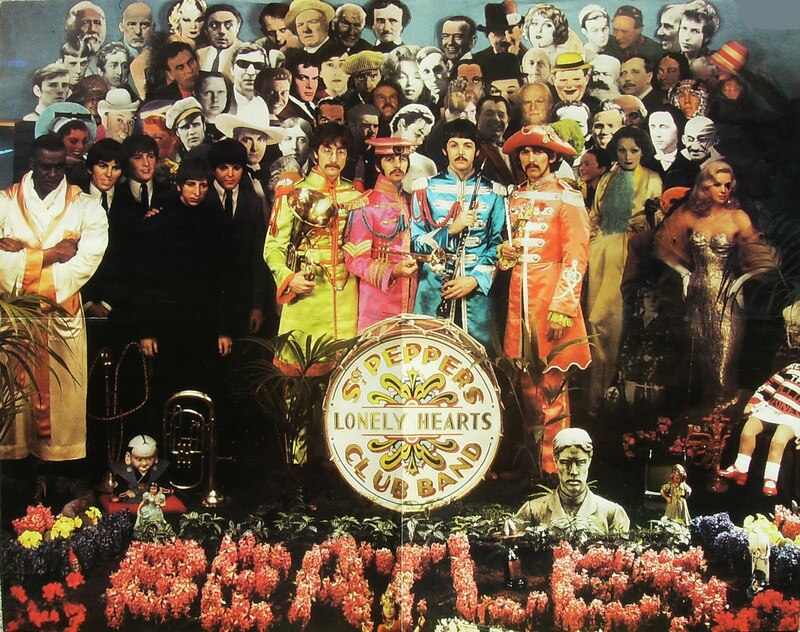 Among other offbeat claims to fame, Mr. Merkin appeared on the cover of the Beatles’ “Sgt. Pepper’s Lonely Hearts Club Band,’’ in the top row between Fred Astaire and a Vargas girl. He was not well known at the time, but on a visit to London he had struck up a friendship with British pop artist Peter Blake, who was at work on the cover art for “Sgt. Pepper’’ at the time. The rest is a small footnote to history. Mr. Merkin wrote the column “Merkin on Style’’ for GQ from 1988 to 1991, holding forth on a subject he knew more about than practically anybody else. A key to his philosophy was the dandyish notion of fashion as aggression. Here’s something which I hope will be a good resource for Beatles scholars and students for years to come. 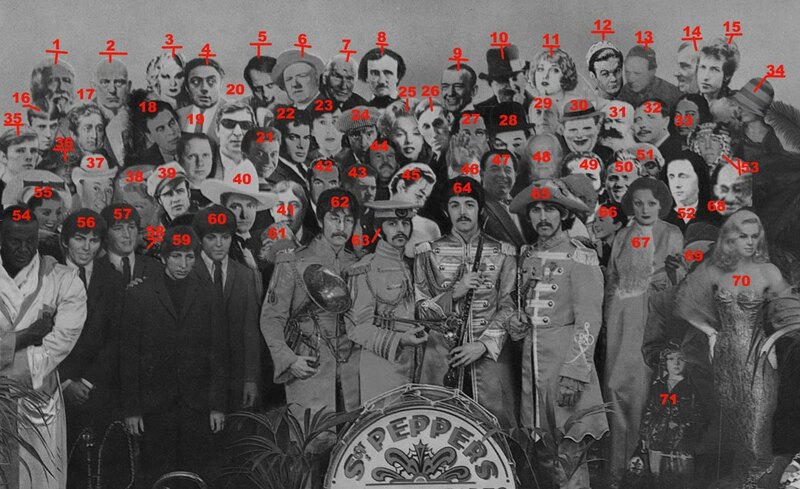 This is a guide to who all the people on the Sergeant Pepper’s Lonely Hearts Club Band cover photo are. Every name is linked to the person’s own wikipedia entry, so this page will stay current forever. All the links will open in a new window. You can have acres of fun with this post for a long time. Enjoy! Here’s a recreation of how “the stage” looked like before the Beatles and their wax models entered. 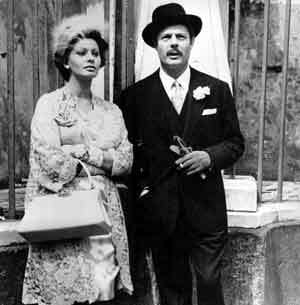 Hidden behind the wax models of The Beatles, you would have seen this image of Sophia Loren(1934- )and Marcello Mastroianni (1924-1996). 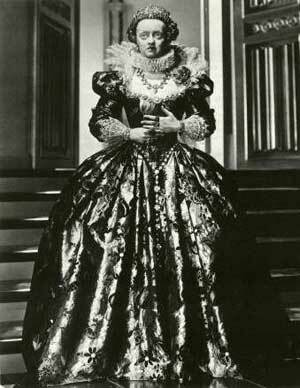 Hidden behind George in his Pepper suit is this image of Bette Davis (1908-1989) in her portrayal ofQueen Elizabeth I (1533-1603). 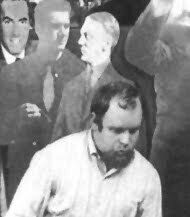 Also, an image of Timothy Carey (1929-1994) from Stanley Kubrick’s “The Killing” shows up behind George. Finishing off, what you see depicted above is a poster from the Pepper photo session. It is pretty close to the one that was used on the album, but you’ll notice small, slight differences like John holding his instrument a bit higher.